Watch Jennifer Lott’s interview with a creative teacher librarian. Jennifer Lott is a Preschool teacher in New Westminster BC, who spends most of her free time writing fantasy, science fiction and children’s books. 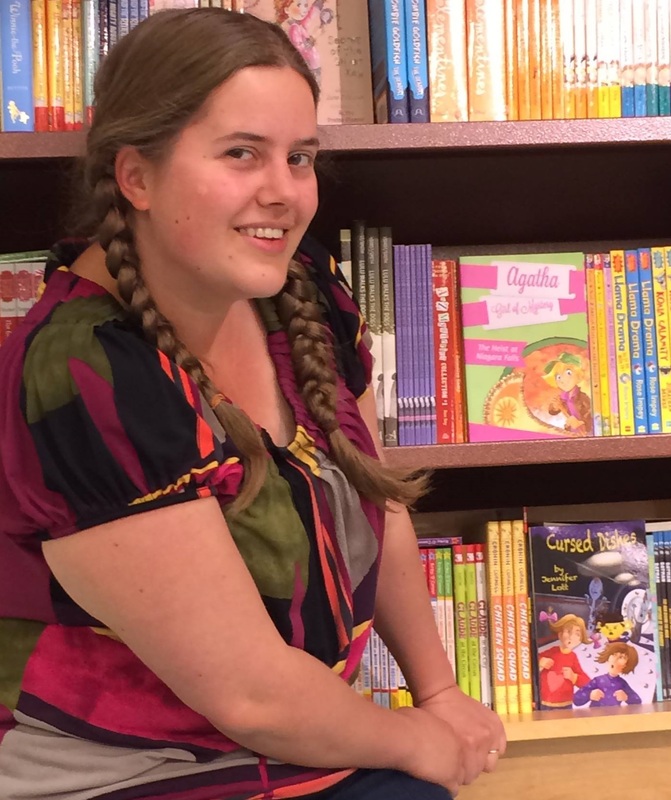 An avid reader from a young age, she first shared her passion by telling Robert Munsch stories, making up poems and songs, and reading aloud with her family. She wrote the short story version of Cursed Dishes when she was sixteen. She didn’t know then that she was becoming a writer. She just wanted a story to make her feel better about her little sisters not scraping the leftovers from their plates! A couple of years later, a completely different project made Jennifer realize that writing meant a lot more to her than a hobby. She wanted it to be a big part of her whole life. She started writing novels and trying to find a literary agent to help her get her books published. Jennifer sent Cursed Dishes out to small publishers who did not require a literary agent. One publisher asked that the story be shortened and simplified to a picture book length. Jennifer did this, but in the end the publisher did not want it. For another publisher, she stretched her story to be a short chapter book, but they did not want it either. It was almost ten years from the time she first wrote Cursed Dishes to the time that Reality Skimming Press was established. The press knew Jennifer before they went into business and agreed to publish her book in chapter book form. Cursed Dishes has since evolved into a series called Family Magic. Jennifer is currently working on upcoming Family Magic titles, as well as her unpublished novels.